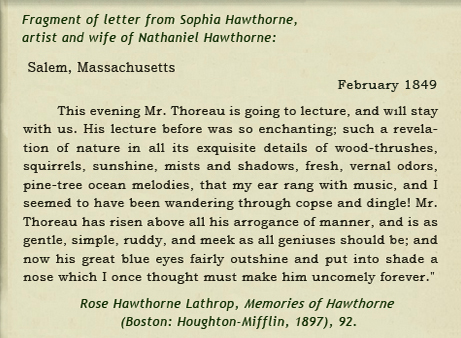 Mr. Thoreau dined with us yesterday. . . . He is a keen and delicate observer of nature,—a genuine observer,—which, I suspect, is almost as rare a character as even an original poet; and Nature, in return for his love, seems to adopt him as her especial child, and shows him secrets which few others are allowed to witness, " American Notebooks, September 1, 1842. 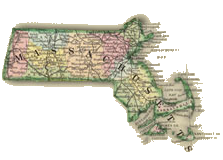 Go to the House of the Seven Gables. 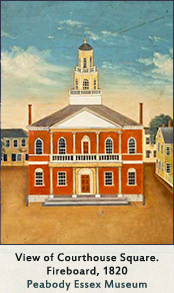 Explore Maritime Art and History at the Peabody Essex Museum. 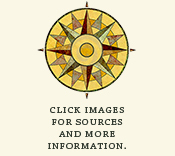 Visit the Essex National Heritage Area. 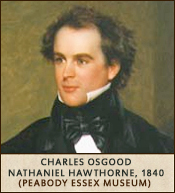 During his term as corresponding secretary of the Salem Lyceum, Nathaniel Hawthorne arranged for Thoreau to lecture on two occasions, first on November 22, 1848, when he spoke on "Student Life in New England, Its Economy," and again on February 28, 1849, when his subject was "Student Life, Its Aims and Employment." 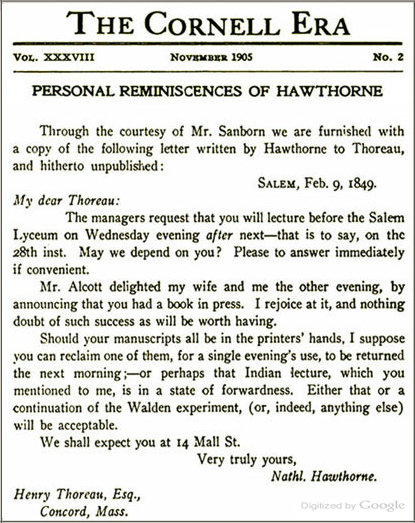 Both lectures focused on the "Walden experiment," as Hawthorne mentioned in his second invitation, and were integrated into "Economy," a lecture Thoreau drew from in writing multiple drafts of Walden before its publication in 1854. 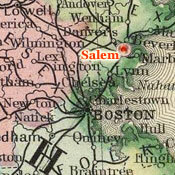 Thoreau's success as a lecturer in Salem may be deduced not only from the fact that he was so soon invited to speak again, but also from the enthusiastic response of listeners such as Sophia Hawthorne, who apparently abandoned the somewhat unfavorable view she had developed when she and her husband lived in the Old Manse in Concord from 1842 to 1845. 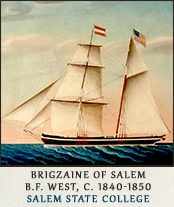 Visit the Salem Maritime National Historic Site. 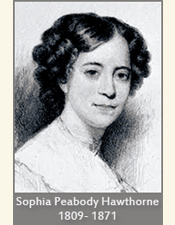 Learn more about Sophia Peabody Hawthorne. 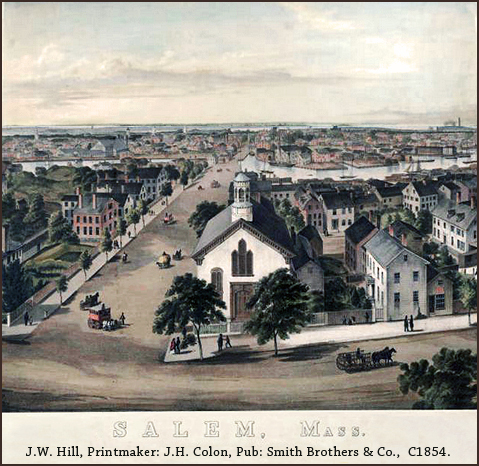 Learn more about Hawthorne in Salem.